During the winter months, I often find myself being less productive. I feel as if I just don’t have the energy to put in effort. I know I’m not alone. It seems like everyone I know is less productive in winter. In fact, some people estimate that lack of productivity during the winter costs the economy billions of dollars each year. But did you know that you’re actually more productive in the winter? Professor Francesca Gino and her colleagues studied how productivity was affected on days with bad weather and discovered that workers are even more productive when the weather is poor. They studied about 200 employees at a bank in Tokyo over the course of two years, looking at data-entry tasks they needed to complete. Their theory was that because it’s not nice outside, the brain isn’t distracted focusing on that or what they would do if they were able to go outside. Because they have no interest in going outside, they focus more on their work, making them more productive. What they found was that the workers were more productive in the time it took to complete their tasks. Even crazier, on a bad weather day, if you simply show someone an image of a sunny day, they’ll start to think about the outdoors and their productivity will fall. This makes sense, but then why do I feel so unproductive during the winter? If the research says that we’re more productive in winter or on bad weather days, then why am I not being more productive? 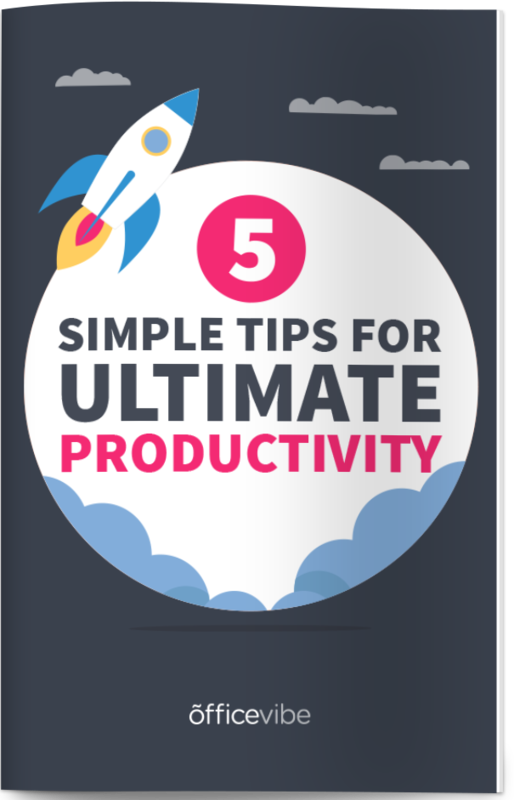 Pro Tip: Get these 5 simple tips for productivity. You’ll be way more productive during the winter. Even though the research points to us being able to focus more at work during winter and therefore be more productive, we all go through a bit of a “winter blues”. It’s perfectly normal to be feeling cold, tired, and lazy during the winter. It happens to the best of us, but if you’re mindful of what’s going on, you can start to think of ways to fix these issues. Here are a few reasons why we’re less productive in the winter. Sunlight is so important for your happiness and energy levels. When the sun is up, it signals to your body that you should be awake. When it’s dark out, your body thinks that it’s time for bed and automatically starts winding down. The fact that you don’t get much sunlight in the winter actually tricks your body into thinking that it’s time for bed more, making you more tired. Tip To Fix This: Take advantage of the light outside as much as possible. Go outside at lunchtime, open curtains, etc. Worst case, you can invest in a lamp that simulates sunlight. Because it’s so cold outside, all you want to do is curl up on the couch with a little Netflix. In the summertime, you enjoy going outside, and walk more, giving yourself more energy. Tip To Fix This: Go for a run or walk, even if you don’t want to. Research shows that actually, running in the winter is even better for you. Because you get less sunlight, you get less vitamin D. Because you get less vitamin D, you’re more tired. In winter, we often eat more comfort food (especially during the holidays) that leads to fatigue. Combine eating unhealthy with moving less and you’ll see why you can easily become unhappy and sluggish during the winter. While it can be hard to do, it’s important for you to eat healthy and drink lots of water during the winter. Tip To Fix This: Eat healthier. If you’re staying indoors more, and you’re looking for something warm and cozy, make yourself a nice soup, filled with vegetables to help you stay strong during winter. Here are a few more essential tips for staying productive during the winter. New Year’s Resolutions are a perfect way to help you stay productive during the winter. Set clear goals for yourself and monitor them frequently. Use the winter time to stay indoors more at night and focus on yourself, doing things like working out or taking a class online. Seasonal Affective Disorder (or S.A.D) is a very real thing. It’s important to work extra hard not to let the darkness and cold weather affect your mood. Happy workers are more productive (12% more productive), and you can do simple things each day to make yourself happier. The key to success in life is building good habits into your routine to keep you productive and healthy all year round. There are really two key habits you need to build. The effects of exercise are hard to ignore. Exercising is what’s known as a “keystone habit” which means that if you build this habit, it will lead to other good habits. When you exercise, you feel better, which makes you more likely to eat healthy, which gives you more energy, which makes you more productive, etc. It really is the root secret of being more productive. How Do You Stay Productive During The Winter? Let us know your best tips in the comments below!